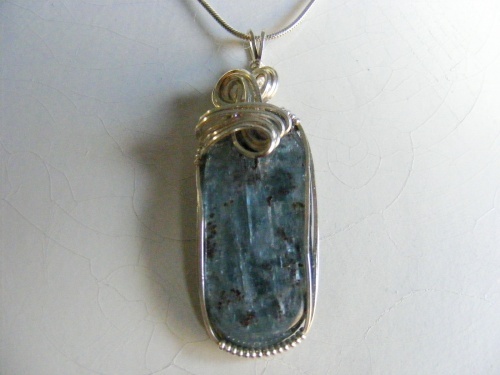 This breathtaking Kyanite gemstone is something that will just about match with everything you have to wear. The stone is enhanced with one of my signature designs of swirls and curls. Measures 5/8" wide by 2" long and comes with a sterling silver snake chain.